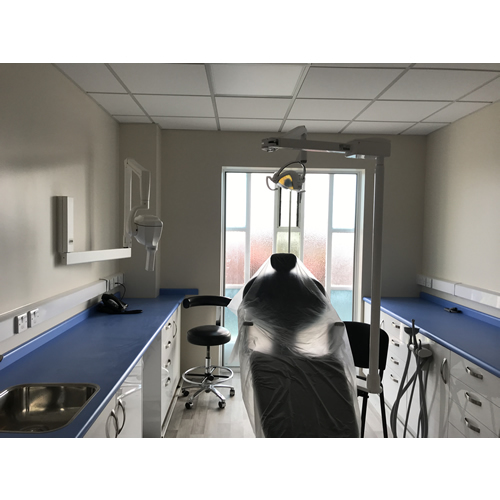 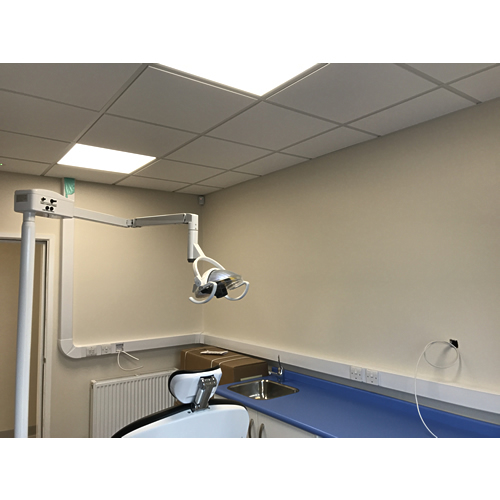 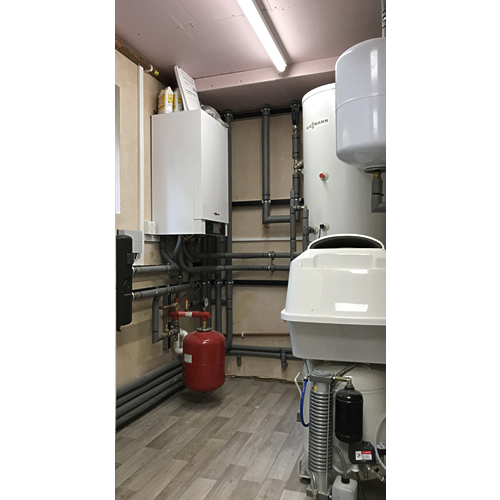 Summary: LED lighting, fire alarms, power, trunking, installation of machines and data were required in this large extension project at Malvern Hills Dental Practice. 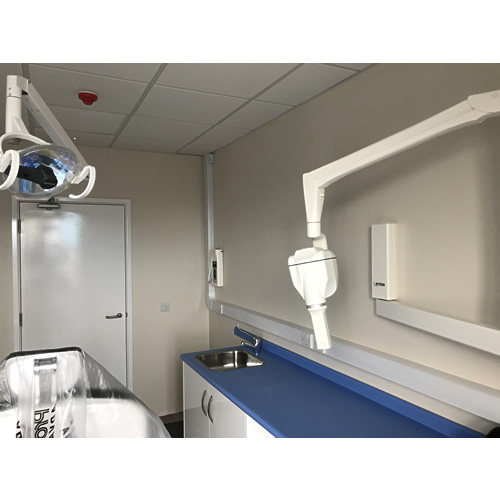 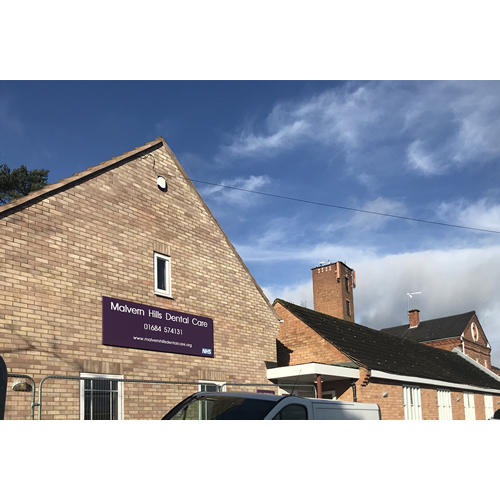 The Brief: Malvern Hills NHS Dental Practice acquired a church hall which was then significantly extended at the side to house 10 treatment rooms, X-ray rooms, staff rooms, decontamination rooms and a large reception area. 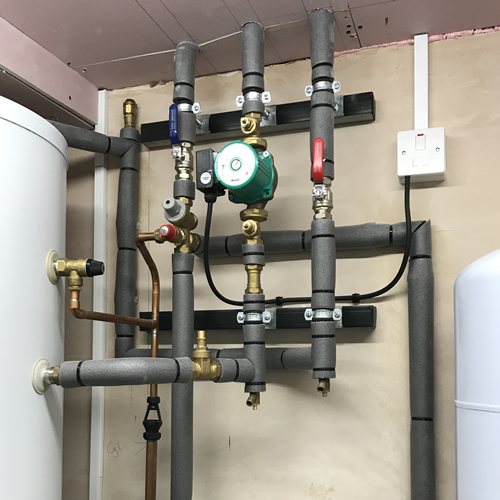 An existing customer recommended us for this task. 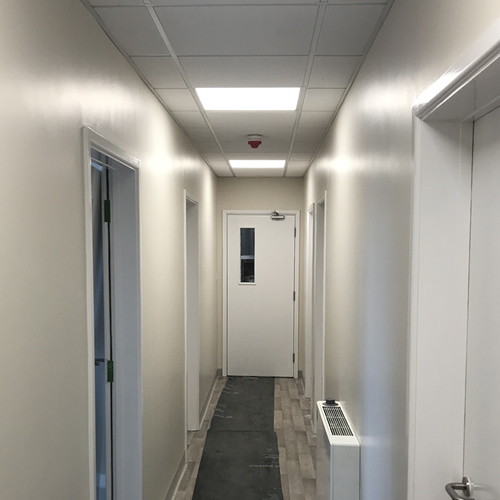 We designed, installed and commissioned the electrical aspects of the project including LED lighting, fire alarms, power, trunking, installation of X-Ray machines and data cabling. 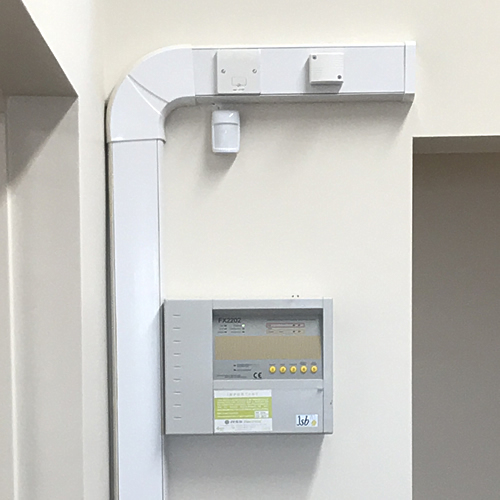 The monitored alarm automatically connects them to a call centre in event of an activation which we have an ongoing contract to supervise. 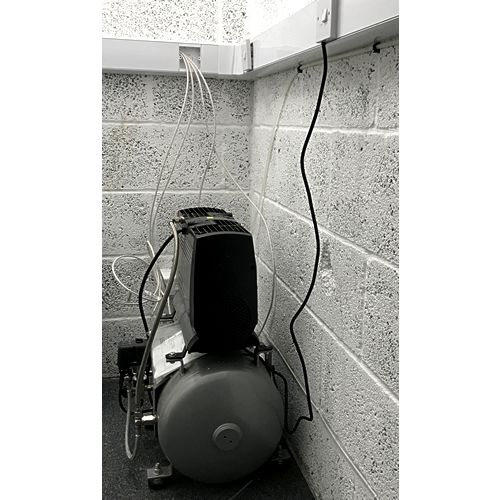 We service their alarms and emergency lighting every six months. 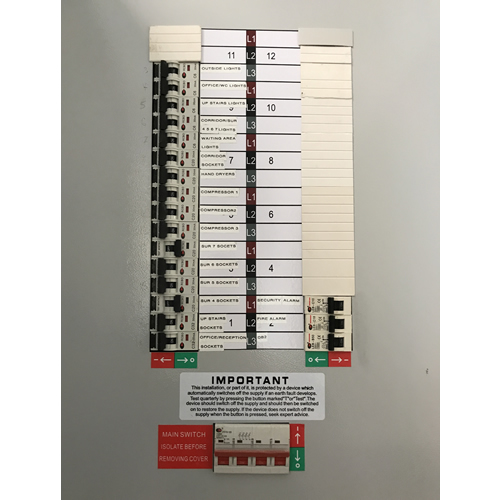 The electrical work was done to the customer’s satisfaction and the opening date was achieved successfully.